Welcome back! What a great recipe. Happy birthday Jesse! Love this! 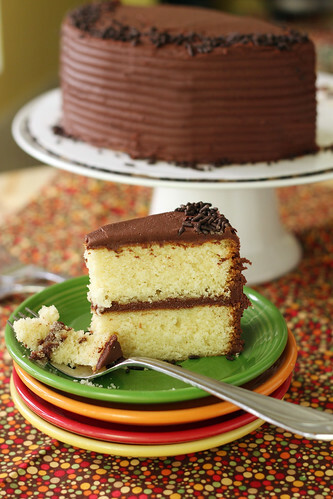 I’m a big fan of yellow cake, but I have to be honest that when it comes to yellow cake, I usually resort to cake mix! Love the homemade recipe – this looks so delicious. 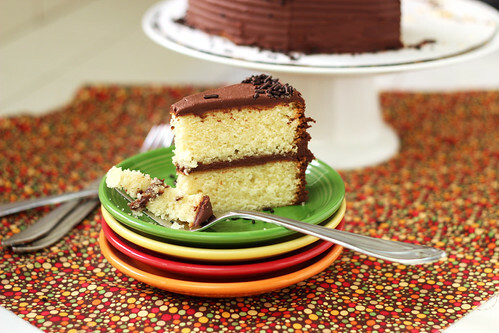 Yellow cake and chocolate frosting was my number choice for birthday cake growing up. Every year I requested it until I started baking myself and then a whole new world opened up to me! I agree that everyone should have a recipe like this under their belt and I don’t! I can’t wait to try this one. Came out delicious, did you mean combine the melted butter with cocoa power in the frosting recipe? Oh goodness, yes! Thanks for catching that. Correction made. Glad you liked it! This articl posted at this ste is actually pleasant.